As you would imagine I have been involved in writing a whole heap of different research reports over my career. Some of these are made public and some are for internal use for organisations. I have included some of those that I’ve been involved with and are publicly available and also those which seem to have gotten some interest out there in the world. If there are ones I’ve missed or if you want to know more about any of these then feel free to drop me a line. Dickinson, H., Garder, K & Moon, K (2018) Outcomes-based commissioning and consumers. Sydney: Sax Institute. Dickinson, H., Bismark, M., Phelps, G., Loh, E., Morris, J & Thomas, L (2015) Engaging professionals in organisational governance: The case of doctors and their role in the leadership and management of health services. Melbourne School of Government, Melbourne. Davern, M., Warr, D., Higgs, C., Dickinson, H & Phillimore, J (2015) Superdiversity in Melbourne. McCaughey VicHealth Community Wellbeing Unit, Melbourne. Dickinson, H (2015) Commissioning public services evidence review: Lessons for Australian public services. Melbourne School of Government, Melbourne. Dickinson, H and Sullivan, H (2014) imaging the 21st century public service workforce Melbourne School of Government, Melbourne. O’Flynn, J., Dickinson, H., O’Sullivan, S., Gallet, W., Currie, K., Pettit, M., Pagan, A. & Robinson, T (2014) ‘The prime provider model: an opportunity for better service delivery?’ Social Policy Working Paper no. 18. University of Melbourne and Brotherhood of St Laurence, Melbourne. Needham, C., Mangan, C. & Dickinson, H (2014) The 21st century public service workforce: Eight lessons from the literature. Birmingham, Public Service Academy, University of Birmingham. Dickinson, H., Ham, C., Snelling, I. & Spurgeon, P (2013) Are we there yet? Models of medical leadership and their effectiveness: an exploratory study. Final Report. Southampton: NIHR Services Delivery and Organisation Programme. Dickinson, H & Glasby, J (2013) Health and social care reform in Birmingham: collective memory event: Summary paper. Birmingham: Public Service Academy. Dickinson, H & Needham, C (2013) Twenty-first century public servant: Summary of roundtable discussion. Birmingham: Public Service Academy. Dickinson, H., Glasby, J., Nicholds, A., Jeffares, S., Robinson, S & Sullivan, H (2013) Joint commissioning in health and social care: an exploration of definitions, processes, services and outcomes. Final Report. Southampton: NIHR Services Delivery and Organisation Programme. 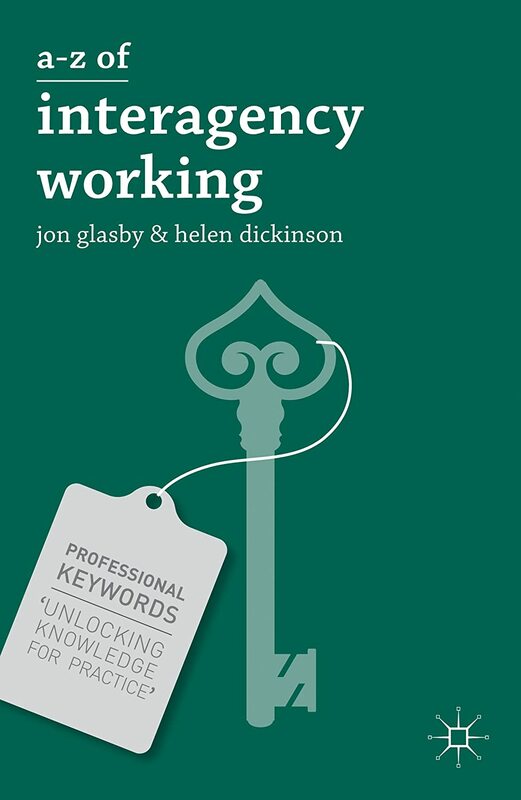 Dickinson, H, Allen, K, Alcock, P, Macmillan, R and Glasby, J (2012) The role of the third sector in delivering social care. London: NIHR School for Social Care Research. Robinson, S., Dickinson, H., Williams, I., Freeman, T., Rumbold, B. & Spence, K. (2011) Setting priorities in health: a study of English primary care trusts. London: Nuffield Trust. Bovaird, T., Dickinson, H., Allen, K. (2010) Commissioning across government: review of evidence. Birmingham: Third Sector Research Centre. Ham, C., Clark, J., Spurgeon, P., Dickinson, H., Armit, K. (2010) Medical Chief Executives in the NHS: facilitators and barriers to their career progress. Coventry: Institute for Innovation and Improvement and the Academy of Medical Royal Colleges. Williams, I. & Dickinson, H. (2008) Knowledge for adoption: a review of the literature on knowledge-based facilitators of technology adoption in health care. NHS Institute for Innovation and Improvement / Health Services Management Centre, Coventry. Dickinson, H. & Ham, C. (2008) Engaging doctors in leadership: review of the literature. NHS Institute for Innovation and Improvement / Health Services Management Centre, Coventry. Ham, C. & Dickinson, H. (2008) Engaging doctors in leadership: what can we learn from international experience and research evidence? NHS Institute for Innovation and Improvement / Health Services Management Centre, Coventry. 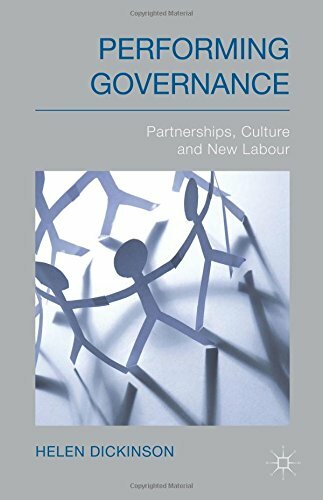 Dickinson, H. & Ham, C. (2008) The governance of health services in small countries: what are the lessons for Wales? NLIAH, Cardiff. Dickinson H., Peck E., Durose J., & Wade E. (2007) Efficiency, effectiveness and efficacy: towards a framework for high-performance in health care commissioning. Health Services Management Centre, Birmingham. Williams, I., Dickinson, H. & Robinson, S. (2007) Clinical Microsystems: an evaluation. Health Services Management Centre, Health Services Management Centre, Birmingham. Williams, I., Durose, J., Peck, E., Dickinson, H. & Wade, E. (2007) ‘How can PCTs shape, reflect and increase public value? Health Services Management Centre, Birmingham. Dickinson, H. and Glasby, J. (2006) Free personal care in Scotland. Discussion paper commissioned by the Wanless Social Care Review. London, King’s Fund. Dickinson H., Peck E., & Smith J. (2006) Leadership in organisational transition – what can we learn from the research evidence? Health Services Management Centre, Birmingham. Larkin, M. & Dickinson, H. (2011) Personalisation: what will the impacts be for carers? Third sector Research Centre Working Paper 64, Birmingham. Miller, R., Dickinson, H. & Glasby, J. (2011) The vanguard of integration or a lost tribe? Care trusts ten years on. Health Services Management Centre, Birmingham. Glasby, J., Dickinson, H. & Miller, R. (2011) Making the best use of health and social care resources in an era of austerity. Health Services Management Centre, Birmingham. Dickinson, H. & Glasby, J. (2010) The personalisation agenda: implications for the Third Sector. Third Sector Research Centre, Birmingham. Glasby, J., Peck, E., Ham, C. & Dickinson, H. (2007) ‘Things can only get better?’ The argument for NHS independence. Health Services Management Centre, Birmingham. Glasby, J., Smith, J. & Dickinson, H. (2006) Creating ‘NHS local’: a new relationship between PCTs and local government. Health Services Management Centre, Birmingham.